Everyone loves MasterChef. From connoisseurs of only the finest cuisine to those who prefer takeaway in front of the telly, Aussies everywhere are obsessed with MasterChef. For all of you MasterChef devotees out there, we’ve got some great news. The new range of official MasterChef kitchenware has just arrived at Peter’s! 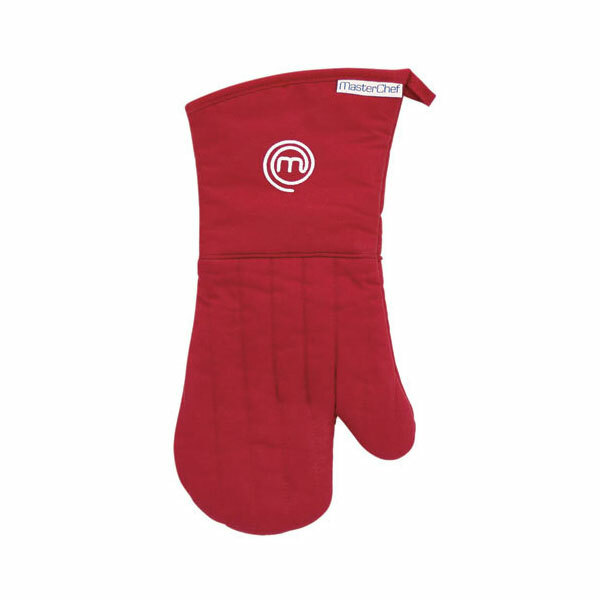 The MasterChef Collection has all the gear you need to totally revolutionise your kitchen…MasterChef style. This range has absolutely everything – from coffee mugs to tea towels…even a professional cook’s torch. And, of course, it’s all adorned with the distinctive MasterChef logo. Hanging hook on the corner of the Oven Glove allows for convenient storage. Machine wash, then line dry.